It’s not unreasonable to expect a certain standard of care when you receive a facial or other professional service. It’s also not unreasonable to expect that a professional who claims to have a license actually has that license. But unfortunately that’s not always the case. A woman who visited The Cosmetic Institute in Orlando for a chemical peel is now suing the facility for negligence. The woman had never received a professional facial before. She says that she researched The Cosmetic Institute when a relative recommended it, and that its website advertised services performed by licensed medical professionals. But then the woman’s face broke out in oozing sores a few days after receiving her facial. She was diagnosed with impetigo, which according to the Mayo Clinic is a highly contagious bacterial skin infection. Her doctor told her that skin was compromised by the peel and that’s what caused her infection. The woman says that the facialist did not warn her about these risks. She also found out that the facialist wasn’t licensed in Florida when she performed the procedure on her. She is suing the facility and its parent company for $15,000 in damages from medical bills, lost wages and other expenses. A facial is a skin care service that must be performed by a licensed cosmetologist or facial specialist within a licensed cosmetology or specialty salon. There are certain standards of care that skin care professionals must maintain in providing these services. Facilities or individuals who don’t adhere to those standards (like by allowing unlicensed professionals to provide the services) are guilty of professional malpractice and may be liable in a personal injury lawsuit. You only have a limited amount of time in which to file your personal injury lawsuit. 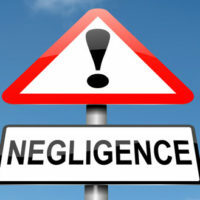 The deadline for filing your negligence claim is four years from the date of the accident. You may be barred from pursuing legal compensation if you don’t file within this timeframe. It’s also smart to file early because that makes it easier to preserve crucial evidence. Contact an experienced attorney as soon as possible to ensure you receive the compensation that you deserve. Contact an Orlando personal injury attorney at The Pendas Law Firm today for a free consultation if you are injured by a negligently provided service like a facial or massage. We will examine the facts of your case and help determine whether you have a viable negligence claim.